This selection of decorative animal heads are perfect for transforming an empty wall space. 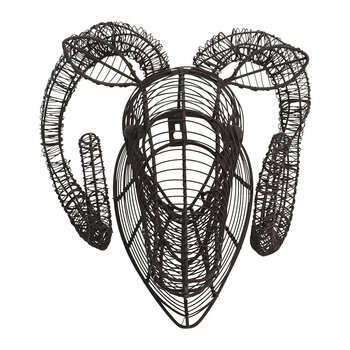 From simplistic designs to multiple patterns and materials, an animal head is a unique and personal way to make artistic use of space. An innovative yet popular home decoration, position over a bed, above a mantelpiece or as a welcome in ...the hallway for an eye-catching finish.